Hi friends–it's been a while! But with finals finished and the holidays near, I thought we could catch up. Just imagine we're all cozied up with a cup of cocoa, or a Champagne coupe! The end of the semester was a sprint to the finish, but it seems impossible that I've already checked off one semester of graduate school. The transition has been harder than I imagined, and homesickness for a place I only really started to like in the last year or so will occasionally hit me like a truck. I am reminded frequently how important routine and structure are to me, and so when I'm not reading wildly (I'm averaging about 100 library books checked out at any given time), I am trying to nurture a sense of normalcy. The bad news is that it takes time. The good news is that we have lots of that. We're heading to DFW later than usual this year and heading back soon after because classes start the first week in January. My bag will, as usual, be packed with books–on Mark Morris, dance philosophy, musical form. And no matter how hard it's been to leave a job, a team, a place I adored, every time I crack open a new book, I know I'm exactly where I'm meant to be. That's what I would give to each and every one of you, darling readers, this holiday season: the feeling that wherever you are, it's where you belong. Because you do. Tell me, what are your holiday plans this year? Are you jetting someplace warm, hosting your first holiday fête or Christmas dinner, or making a cross-country effort to be with your nearest and dearest? 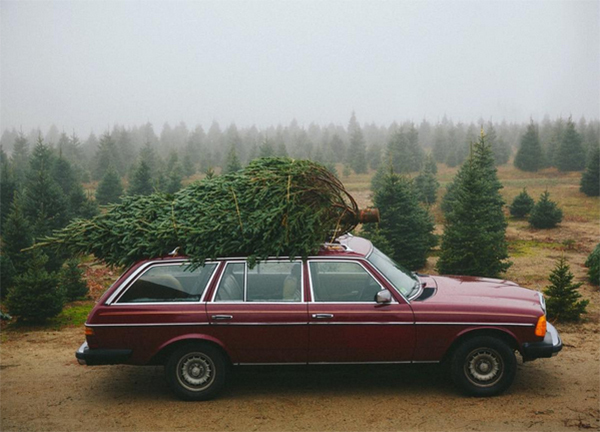 Image via Henry's Christmas Tree Farm. It certainly felt fast! Have a terrific holiday!